The vast monolith of Uluru (Ayers Rock) is arguably overrated (and certainly depressingly over-organised), but it retains a profound mystique once (if) you escape the crowds. 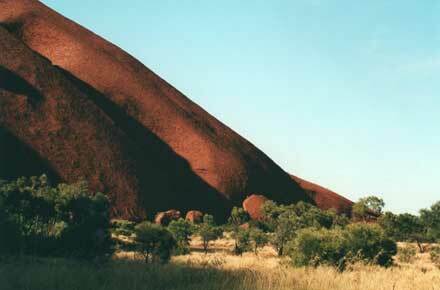 Claims that it is a natural wonder of the world are, however, fair and you shouldn’t miss it when in Oz. Walk around the base, contemplating the quiet bush and dramatic smooth ochre, sienna and umber cliffs sheltering sacred sites of the local Aborginal people. Note: Negs: crowding; over-organised tourism. Difficulty and length assume you climb the rock and walk round it. 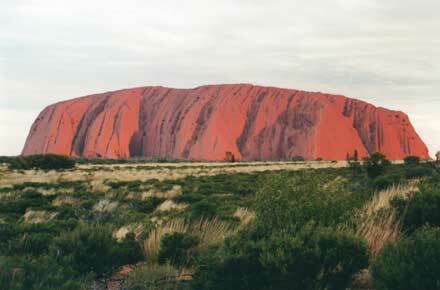 Uluru (Ayers Rock) really is like nothing else. Other famous sandstone formations, such as the great buttes at Monument Valley in the USA, don’t even eat at the same table. 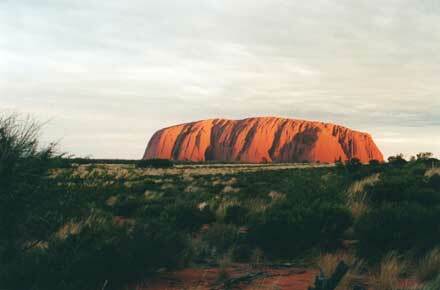 While extraordinary and gorgeous, Uluru has perhaps been over-marketed – a national trait, the cynic could argue. Its fame means that, like other renowned places, you are never alone there. The Rock is, you are frequently told, the world’s largest monolith. It is hard sandstone composed of feldspar (decomposed granite) particles. 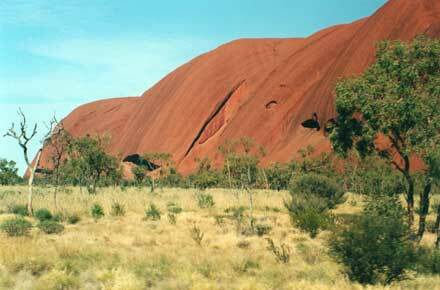 Its natural colour is grey, its famous red colouring a surface phenomenon only, caused by oxidation of iron in the rock. The Rock originated around 550 million years ago as an alluvial fan of an ancient river, the silt from the erosion of a long disappeared mountain range which was once of Himalayan height. Subsequent layers of sediment crushed the future Rock into its present consistency and were themselves eroded away, leaving the Rock standing proud in its glory. If you want to get inside the heads of our ancestors, and how they explained and dealt with the world around them, Uluru must be one of the best places to do so: Aboriginal culture is an extraordinary window to the distant past, although there is clearly much that is unique about it, as it has developed for tens of thousands of years in isolation from the rest of humanity. There is an apparent asymmetry, which misled Europeans for years, between the apparently simple lives and technological development of the Aborigines and the sophistication of their cultures, which are based on such a “different” outlook, and such a complicated web of lore and stories, that it is still hard for the layman to understand them even when well explained. And they are preserved in a completely oral tradition, with the help of painting. The Aborigines have a complex and deeply spiritual relationship with the land: they are far from the random wanderers they were once believed to be, but careful semi-nomads (and extensive traders) moving with the seasons and the weather conditions. They have a deep knowledge, gained over the millennia, of how best to use their environment and the available resources. A nexus of stories maps trails, both real and mythical, across the continent, far too extensive for any person to know yet intertwined so as to make a whole which is coherent on its terms. Different tribes derive from, and have totemic links with, different spirit ancestors. During the Dreamtime, these ancestors created the world and the people and their Tjukurpa (or sacred lore), which explains existence and the relationships between people, animals, plants and the physical features of the land, and guides daily life. The ancestors travelled during the Dreamtime, leaving physical traces which are now sacred sites, such as landmarks or special plants, and spiritual energy. 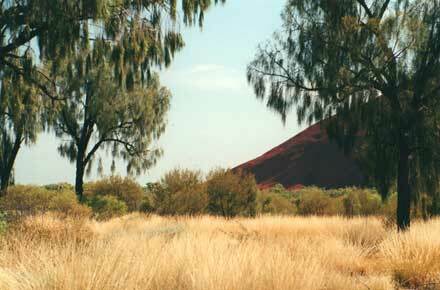 Uluru is itself such a site, and shelters many others in its flanks. A number of ancestral beings are said to have travelled there. 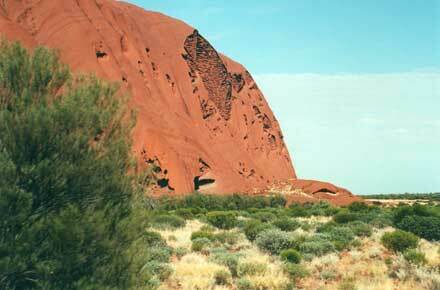 The Anangu, the local Aboriginal people believe that it is hollow but contains an energy source and is where their Dreamtime began. 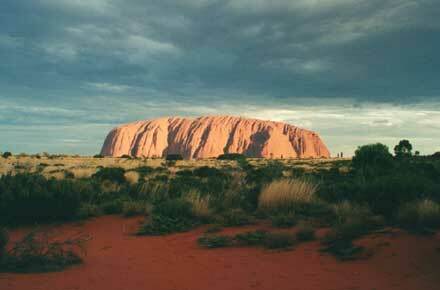 The Rock is profoundly important to the Anangu. Its name means "earth mother", and its details and features are equivalent to sacred scripture. Its majestic otherness can arouse transcendental stirrings in the most sceptical of Western hearts. Settled for more than 10,000 years, Uluru is a living museum of Aboriginal history and culture; this, with the numinous landscape, is why you want to walk there. Its caves and overhangs protect paintings, made with natural ochres, chalk, ash and charcoal, which served purposes ranging from the ceremonial to the religious, to teaching, in particular passing on their Tjukurpa. If you are going to climb the Rock, start before dawn. 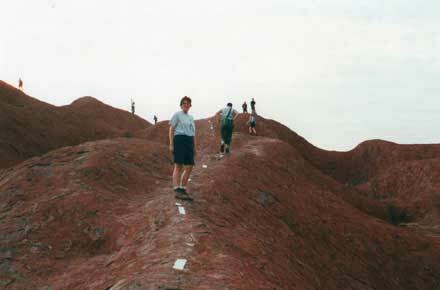 It is not an easy climb: although it is only some 350m above the desert floor and a bit short of an hour to the top, the first half is a panting scramble up a steep, narrow spur, with sheer drops on each side. A number of people have died here over the years. Everyone makes grateful use of the chain which loops up this section. A crowd will stream upwards on release of a barrier, a multi-national snake (but nothing ancestral about it) winding up the narrow path. 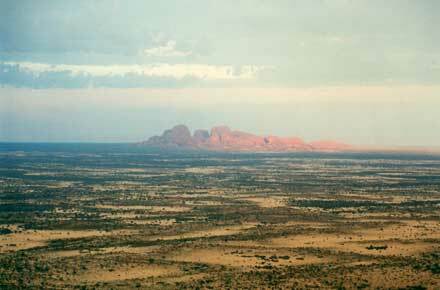 The view quickly becomes thrilling, the quiet expanse of the early morning desert receding to the brightening horizon, broken only by the dark silhouette of Kata Tjuta (the Olgas), over 40 km away. 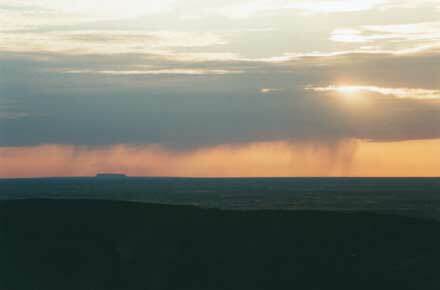 It is breathtaking at dawn from the summit plateau. 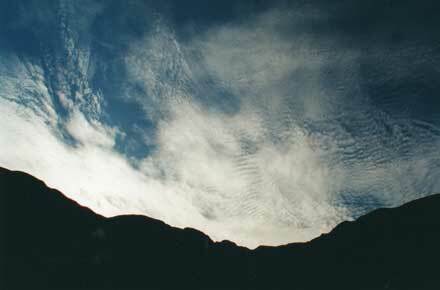 Paths wind across wave-like undulations in the top of the dome, the beginnings of the deeply carved gorges which are a feature of the lower slopes; their crests flame in the early sun, their bottoms, two to four meters lower, remaining in deep shadow. There is almost no vegetation on this extraordinary plateau, except a few stunted bushes clinging to cracks containing pathetic fragments of soil. Start early, to get the best colours and avoid the fiercest heat. Whatever you are doing, carry sufficient water. The circuit can take up to 5 hours by the time you have inspected caves and corners and taken time for quiet contemplation, which you can achieve as the crowds die down pretty soon once you leave the access points. To walk round the Rock, head north-east from the climbers’ carpark on the Mala walk. 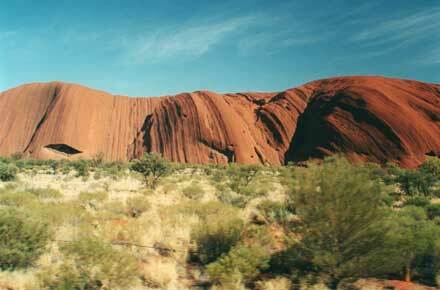 This area is specially significant to the Anangu. It contains extraordinary wind-carved shelters at the bottom of the cliff, some with paintings, and caves where their men, youths and women and children camp separately at the time of the great rituals at the Rock. The Kantju waterhole, one of the few reliable water supplies in the area, lies in a deep cleft, amongst tall eucalyptus trees at the foot of a perfectly smooth 100m cliff down which, in wet weather, a torrent will crash. This area is directly away from the morning sun, and it will still be in cool shadow at ground level. The sun will be creeping down the wall above, the sky, rock and trees forming the sort of semi-abstract pattern of complimentary colours which so enthralled Cézanne. Tiptoeing past the older mens’ cleft, the most sacred place on the Rock, you will emerged into full, fierce sunlight. The path now skirts the long, comparatively smooth, north-east face of the rock, now light orange in the mid-morning sun. You will pass further sacred sites. 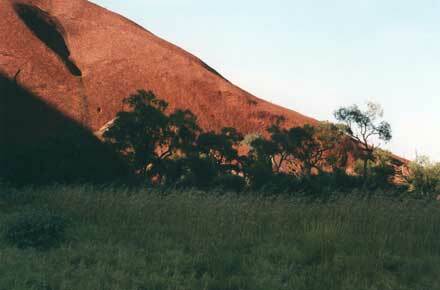 The trees give way to spinifex grass and scrub and the air over the red-brown sand may become uncomfortably hot. A low rock stands out in the scrub, some strange wind-smoothed boulders on its top. Rounding the sharp eastern corner, the Rock’s vertical strata are very evident, eroded into great waves and troughs. The long southern face is deeply gouged with gullies, overhangs and holes. Horizontal striations at the base are said to have been left when an ancestral snake-being, Kuniya, journeyed to the Mutitjulu waterhole. The path passes sand dunes 30,000 years old. 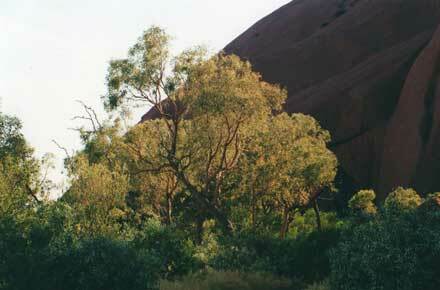 At the south-western end of the rock lies Mutitjulu, the area’s most reliable waterhole, at the foot of a great ravine. This is a lovely place, with waterfalls in the wet and busy birdlife for much of the year. The patterns on the rock faces around the waterhole tell the tale of the battle between Kuniya and another ancestral snake being, the poisonous Liru, an important part of the Anangu’s creation myths. Further on, some large boulders around the track are pieces of emu meat dropped by another ancestral being, a blue-tongued lizard. 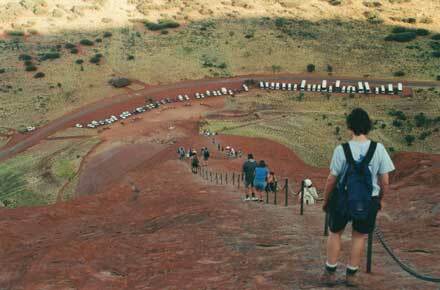 I am appalled that you have included Uluru in your list of recommended walks. 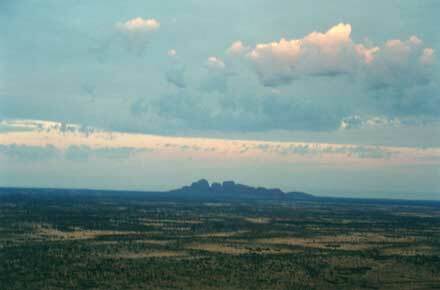 Specifically you state, "Clamber up the rock at dawn (now controversial; contravening Aboriginal beliefs) for superb views over the hazy desert toward the Olgas formation as the light and cloudscape change by the minute." This should NOT be recommended: not only is it "controversial; contravening Aboriginal beliefs" but there is signage specifically requesting that people do not climb the rock. 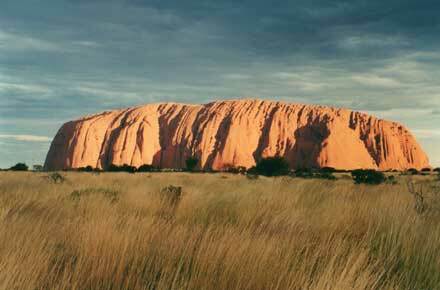 Aboriginal groups are deeply offended by tourists climbing Uluru. As far as the walk around the rock goes, very few people actually do it. 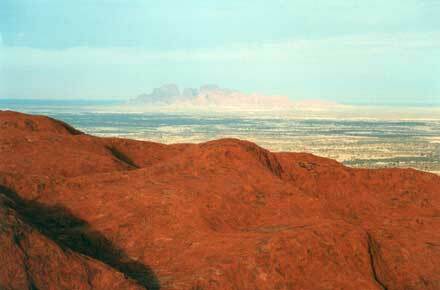 The hike is quite long and one is taken quite a distance from the rock in places to keep away from sacred sites. Some beautiful vistas of texture and shape of the rock is to be had but most casual hikers would find it somewhat monotonous. It would be far better to include Kata Juta/The Olgas in place of Uluru, which really, really should not be on this site! Walkopedia says: thank you for this. We will review whether the time has come to remove this walk - we were there 2001, so things may well have moved on definitively! Any other member comments?